“Cash is king!” says the old business axiom. And yes, cash flow is critical to the successful operation of any company. Without cash on hand, your business can’t pay overhead and vendors, buy raw materials, meet payroll, or do pretty much anything. But let’s face it: Most greater Los Angeles and Southern California business owners and entrepreneurs start their companies for one main reason — to earn a profit. Without a profit motive, there’s really not much sense in launching a commercial enterprise. However, profitability doesn’t just happen: It requires careful planning and discipline on the part of owners and managers. And once achieved, profitability must be maintained, especially as companies navigate their way toward growth. The best way to ensure that your business is maximizing its profit potential is to perform a thorough customer and product profitability (or CPP) analysis. Such an analysis will go well beyond your profit and loss statement to help you gauge your company’s profitability from two key perspectives: your customers and your products. Your goal in performing a CPP analysis is to determine how profitable (or unprofitable) each of your customers and products is. To do so, you need to break out each of your customers and products from a cost and revenue perspective. In other words, how much does it cost you to serve each customer and produce each product that you offer, and how much income does each customer and each product generate? Subtract each customer’s and product’s cost from its revenue to determine how much each is delivering to your bottom line. In determining customer profitability, don’t forget to include the costs associated with maintaining customer relationships. Are certain customers “high maintenance,” requiring expensive “wining and dining” by your salespeople? Do they require special accommodations, like expedited shipping or 24/7 access to a customer service rep? There are costs involved in all of this that should be factored into your CPP analysis. If yours is like many businesses, you may find you are falling victim to the 80/20 rule. That is, just 20 percent of your customers and products are delivering 80 percent or more of your profits. One of the big benefits of a CPP analysis is that it will help you identify your 20 percent of customers and products that are most profitable — and the 80 percent that are marginally profitable or unprofitable. Then you can make strategic decisions about whether to continue serving unprofitable customers and offering unprofitable products. Just because a customer or product is unprofitable doesn’t necessarily mean you should ditch them. Some products, for example, are loss leaders — selling them leads to the sale of other more profitable products. And selling to some customers may offer benefits beyond profitability — maybe having them as one of your clients will help open the door to landing other clients like them that are more profitable. By performing a CPP analysis, though, at least you will know which of your customers and products are driving profitability and which ones are a drag on profitability — and you can make strategic decisions with this in mind. § What are the characteristics of your most profitable customers? § How can your sales reps more easily spot other customers like them — and just as importantly, stay away from other prospects that are similar to your unprofitable customers? § Can you create new and/or complementary products that are similar to your most profitable products, but different enough that customers will buy (and pay a premium for) them? § Does it make sense to acquire a competitor that also offers your most profitable products in order to increase your market share and boost your efficiency? Cash flow is critical to running a successful business, but eventually, you need to earn a profit. But sustainable profitability doesn’t just happen — it requires careful planning and discipline. The first step is to perform a thorough customer and product profitability (or CPP) analysis to determine how profitable (or unprofitable) each of your customers and products is. Then you can make strategic decisions about whether or not to continue serving unprofitable customers and offering unprofitable products. 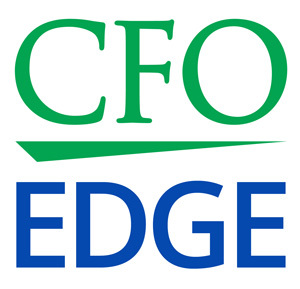 An outsourced CFO services provider can help you perform a CPP and devise strategies based on the results.